The Jean Paul Gaultier Le Male Deodorant Stick is an intensely fresh way to stay dry all day. 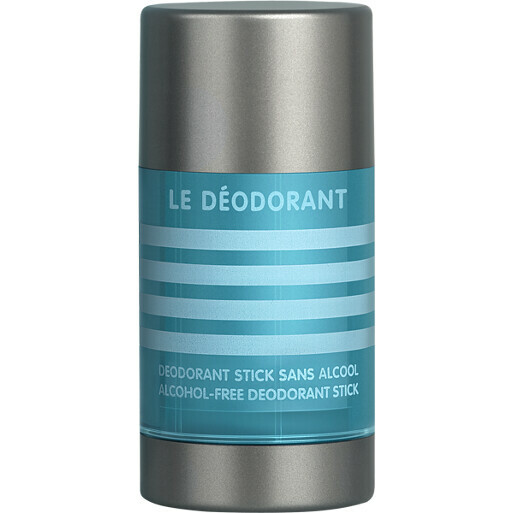 The practical, alcohol-free stick format is both gentle on skin and effective against odour. The addition of peppermint extract provides protection and a fresh hit of the Le Male fragrance in one step. Pair with the Le Male Eau de Toilette and matching Shower Gel for a long lasting fragrance experience. Jean Paul Gaultier Le Male Deodorant Stick Alcohol Free 75g is rated 4.0 out of 5 by 1. Rated 4 out of 5 by profumata from Good summer purchase Refreshing, clean smelling and lasts all day even in the summer heat.